IveyPoker.com added two more players to their ever-expanding roster on Thursday, 2012 Global Poker Index Player of the Year Dan Smith and online legend Andrew “luckychewy” Lichtenberger. The signings of the two young stars comes just before the NBC National Heads-Up Poker Championship, where both players will be competing along with a couple of other IveyPoker team members, including Phil Ivey himself and 2012 WSOP Champion Greg Merson. The timing of signings has been something of a calling-card for IveyPoker.com, having signed Greg Merson just days before the WSOP Main Event final table (hitting the jackpot when he won the thing) and more recently inking high-roller Dan Shak after he made the final table of the $100k Super-High-Roller at the 2013 PCA. The roster is a good mix of US and foreign players, cash-game and tournament players, as well as having well-known poker players and rising stars. 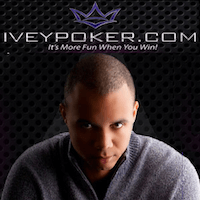 Smith and Lichtenberger are by far the biggest names to join IveyPoker.com since the site first launched with Ivey, Jennifer Harman, Patrik Antonius, and later Merson as sponsored players. Never-ending #TeamIvey roster adds two more members: @DalaiLama and @WileECoyote. Congrats to both. If I were starting http://chadpoker.com , @philivey would be my 1st call. He starts http://iveypoker.com & contacts Buddhist monks before me. If Ivey had any business sense at all he would immediately sign Norman Chad; not as a sponsored pro (although Chad does have a WSOP final table on his resume) but to run the site’s Twitter account.